Emily V. Hammond says she has asked Mr. Starr to go on the pilgrimage, but she does not think he will accept. 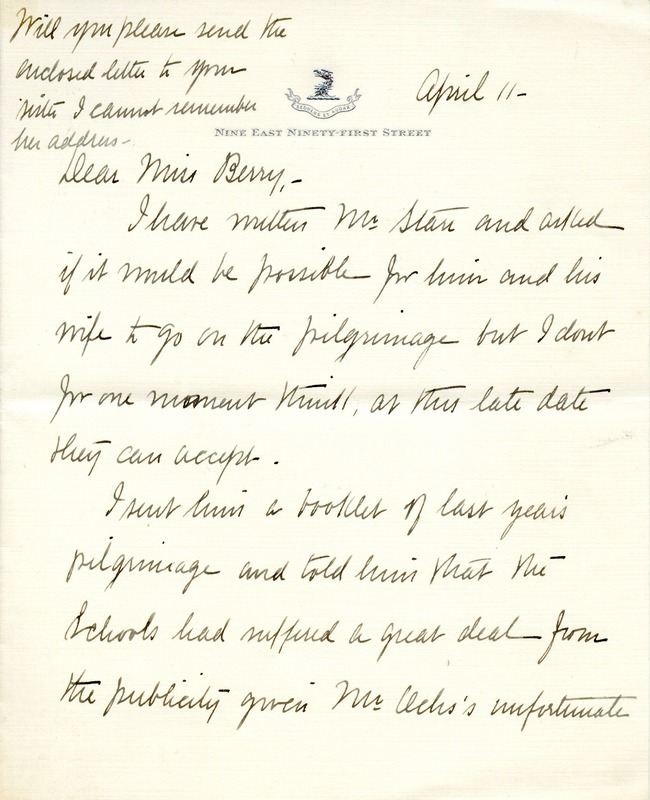 She also sends a list of those attending and requests that Mrs. Pennybacker be placed in a cottage close to hers. 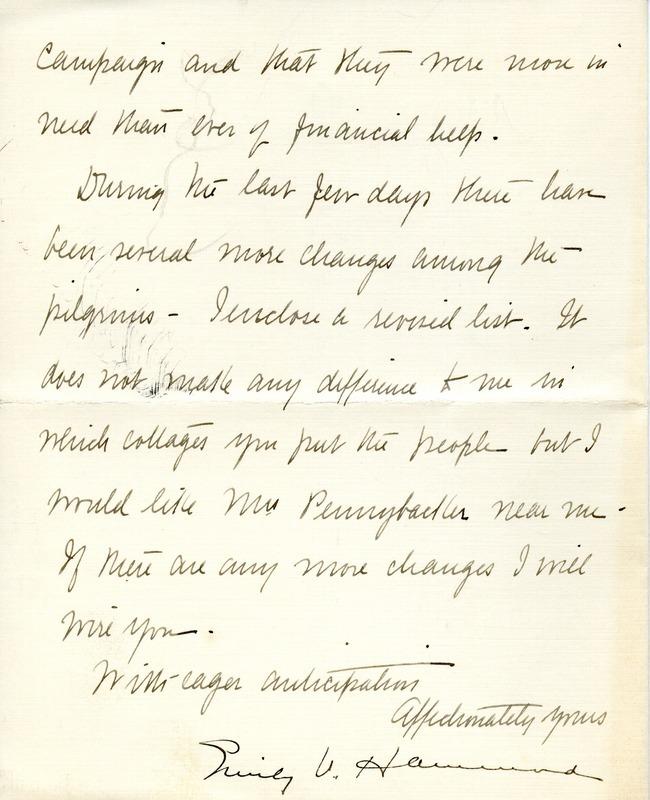 Emily V. Hammond, “Letter to Martha Berry from Emily V. Hammond.” Martha Berry Digital Archive. Eds. Schlitz, Stephanie A., Sherre Harrington, Kelli Kramer, et al. Mount Berry: Berry College, 2012. accessed April 26, 2019, https://mbda.berry.edu/items/show/7711.